In a world dominated by smartphones and social media, a business without an online presence is like a car without gas. As a company with a crew of young adults that are attached to the internet at all hours of the day, and lead by a young proactive entrepreneur, Matt Berry Tech Co understands exactly how to create an online experience that your consumers will love. 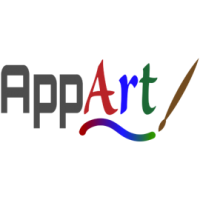 AppArt creates augmented reality apps for mobile devices. AppArt’s newest app is called Tycoon. It’s a simulator game all about becoming rich from virtual versions of real businesses! The game is directed to 13-23 year old users, and allows them to discover, upgrade, buy/sell, and add virtual versions of real businesses located anywhere in the world! Tycoon is unique among apps in its use of real life data to enhance the gaming experience. This is an exciting new application for augmented reality tech. Green Thumb Lawn Care provides personalized lawn care services for your needs. We can provide many different services including mowing, edging, hedge clipping, weeding, and fertilizer application. QuiksilVR is London's first virtual reality arcade available to be played in 15, 30 and 60 minute increments.Virtual Reality is the latest in gaming technology but it’s still quite expensive. The majority of people can’t afford their own set up, so here at QuiksilVR we give you the opportunity to try out this new technology at an affordable price. We use the HTC Vive, one of the best VR headsets on the market. With the headset and controllers, you can try some of the latest VR games including: Tilt Brush, Space Pirate Trainer, and more. Try virtual reality gaming for yourself! 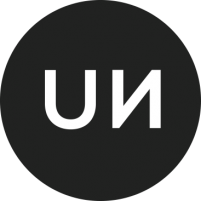 UNWRK is your daily source for productivity gear, motivation, insightful articles, and insider information on leading a balanced lifestyle. Products range from Fidget Spinners, Fidget Cubes, etc. Professional Moving Canada is a trusted moving company that eases the stress that comes with moving. Our reliable staff consists of hard working, athletic individuals that pay attention to detail making local and long distance moving as easy as possible for your family or business. Handy Mandy provides Exterior and Interior Cleaning, Organizing crowded and cluttered areas, Gardening and a multitude of other tasks around the house. We pay attention to detail and provide the greatest of care in what we do. Blue Opal Beauty Bar is a spa currently offering Swedish massage, Eyelash Extensions, Manicures & Pedicures, Tinting and Waxing Services. Our aim is to provide high end services with industry leading products, at competitive pricing. 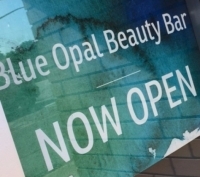 Whether it's showing you how to enhance your natural beauty or helping you to unwind after a busy work week, Blue Opal Beauty Bar is a one stop destination for all your beautification and relaxation needs. Max is living his dream as a young professional freelance graphic designer. He has been studying the graphic arts and perfecting my skill for the past seven years. 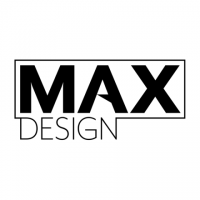 This summer with the help of the Summer Company Program, Max has launched his own graphic design business called MAX Design specializing in creative graphics for elite businesses, creative start-ups, and everything in between. Swim With Malyn is a service business offering Red Cross and Lifesaving Society programs to Strathroy and surrounding areas. With the goal of water safety and drowning prevention, their classes are all semi-private or small group classes. They offer Red Cross swimming lessons for ages 3+, as well as the babysitter’s course and Stay Safe program. All courses and programs emphasize learning the basics and giving oneself the confidence required when in the water. Looking for a tutor for yourself or your child? ACE Tutoring is the way to go! Tutoring is provided in various subjects such as English, math, physics, chemistry, economics, and history for students in elementary school and high school as well as for the SAT and AP exams. Each tutee receives one-on-one tutoring sessions customized according to their needs and abilities. 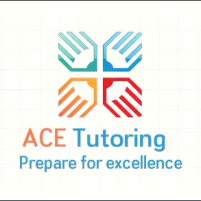 ACE Tutoring makes sure that the tutoring sessions are fun and engaging as well as educational so students don't view learning and school work as a burden. As a student, Eman understands how expensive tutors can be which is why her prices are affordable. Eman loves to teach and at ACE Tutoring the tutee's success is her priority. SL Lawn Maintenance is a worry free Lawn Maintenance service. At SL Lawn Maintenance we offer a completely professional lawn maintenance program to give our clients a perfectly manicured lawn week by week or at a schedule that fits our clients specific wants and needs. With years of experience SL Lawns will make your lawn a thing of beauty. Western University’s MSc Neuroscience student entrepreneur Mason Kadem is also the founder & CEO of Management Reinnervation (MRi), a company that addresses the discrepancy between what neuroscience knows and what business does. Specifically, it is a consulting company that adapts neuroscience principles to stimulate/support management initiatives. We’ve learned more about the brain in the last five years, than in the last five thousand years before it. However, business has remained unaware of such advances and their paramount potential..
MRi clarifies effective learning, takes advantage of inherent mental processes (e.g., perception/attention/memory), and adapts context-specific development programs to breed effective organizations. Kadem stands behind appreciating neural processes as a key step to efficient management. 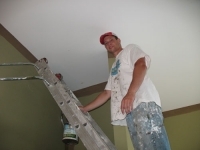 Topcoat Student Painting offers interior and exterior painting and staining as well as minor drywall repairs and popcorn ceiling repairs. The company's aim is to provide superior painting service compared with other student painting companies at a reasonable price point (we not a franchise). A fresh coat of paint can revitalize an area, increase the value of the property and add a homely feeling. 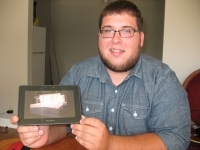 Ryan opeerated his summer business – Ascend Applications which developed high-quality apps and websites. 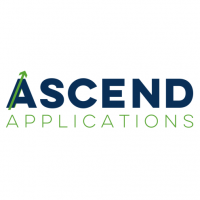 Ascend Applications developed several projects such as Broadcast, an automated announcement system, and a new donation platform (in progress) for charities. For businesses that need an app or website or for individuals that have an idea with great potential, Ryan will be develop your concept, release and maintain your product. Adam operated a Portrait, Event, and Wedding Photography business over the summer of 2017. Mostly, his business was engaged in portrait and Wedding Photography. To see more of Adam’s work just visit the website at www.adamgoarley.com. Healthy Meal Prep 101 was created with the goal to assist individuals in making their lifestyles healthier. Through hands on activities, individuals learn about healthy foods and how to prepare those foods. While the class of participants prepares different recipes together, the instructor provides information on nutritious foods. Participants get to take home already prepared meals and snacks. The only thing participants need to bring is an open mind, a positive attitude and a willingness to cook. 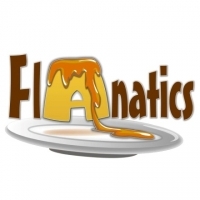 Flanatics is a business that sells Flans. Flans are a type of custard made from our secret family recipe, it is a unique flavour! We offer different kinds of flavours such as Original, Caramel, Pineapple and Maple; we also have different limited availability flavours of the month such as Chocolate or Lemon. We also sell a variety of sizes: Small Individual- 4oz, Large Individual-6oz, Family size-16oz and a 6-pack- 4oz x 6. It all started from a recipe handed down from generation to generation that has been perfected over the years. I decided to share this family tradition with the rest of the world creating Flanatics! Brandon Kidd provides stunning, high quality, on location portrait, lifestyle, and action photography in the London area. From shredding the skate park, to showing off that fantastic new fall outfit. Let me show YOU in the best light possible! Visit www.Brandonkiddphotography.ca to book your shoot TODAY! " Sean Cornelius and his business Geco Canada offers Digital marketing solutions, specially designed to help build small businesses and startup companies. Geco Canada builds elegant, interactive digital experiences for their customers and streamlines their entire digital experience across their entire online network. What makes Geco Canada different is that they allow their clients to be more in control and have the ability to make proactive decisions about their marketing services. Through Geco Canada’s platform, 'OPA!’ clients can go online and view in real time everything that is happening within their services and be able to make informed decisions and have control over everything we do for them. I provide lawn care services for the London community; most of my business is situated in the West of London. I grew up in the Oakridge area and have always enjoyed helping out my neighbours with their lawn care needs. As time went on, my passion turned into a real life opportunity and I created “Oakridge Acres Lawn Care”. By being a local student, you can be assured that if you call Oakridge Acres for your lawn care needs you will be provided with trustworthy, reliable and quality service. Like one neighbour helping another, you can always depend on Oakridge Acres. My name is Umair Khot, I am an economics student at Western University, pursuing a career as a lawyer in the corporate sector. I am the owner and operator of Mobile Auto Detailing, the convenient and timely way to get your car cleaned. We offer various packages that suit your car care needs. Our unique advantage as a car detailing company is that we come to you and clean your vehicle at your home or work, so you don't have to take time out of your busy day. Best part is, all that comes with no sacrifice to quality as here at MAD we are crazy about the details, we leave no spot untouched when it comes to your car. Rest assured if a dirty car drives you mad, then MAD will be there to take care of it! JP Lines is a parking lot line striping business that provides excellent service throughout London and surrounding areas. We don’t just do the parking lot lines but we also paint directional arrows, numbers, handicap signs, and curbs. This is all created with professional, Canadian made traffic paint. But why should you get your parking lot striped? Well, your parking lot is one of the first things clients see when entering your establishment or business. So we want to make sure that it looks good! Five percent of North American carbon emissions are produced by conventional lawn mowers. By choosing Green-Tech, you can help reduce that to zero! 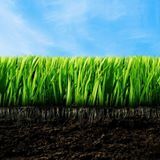 Green-Tech is an environmentally conscious lawn care service, based in North London. We use time-tested reel mowing technology to deliver a quality, emissions-free cut. We also provide trimming, weeding and edging services. We're flexible - book us for a one-time session or lock us in for weeks at a time and enjoy savings. 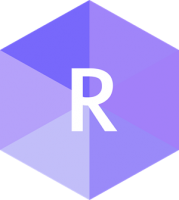 RetainUp Inc. is a web development and digital marketing company who specializes in website design, logo design, and web programming. The company strongly believes their services value people over profits, quality over quantity, (and keeping it real). They combine digital strategy, user experience and design to help clients think beyond the ordinary. When I was in grade 4, I started taking basketball seriously. I wanted to play the point-guard position, but my coach (and Dad) wouldn’t let me until I learned how to dribble the ball. So, I built a paperclip chain. Every day I worked on my ball handling skills for 20 minutes, adding a paperclip to the chain every time I completed my program. If I missed even one day, I had to take the whole chain apart. After over 550 consecutive days, I decided that my chain had served its purpose and it was time to take it apart. The chain showed me what it means to truly commit to something. I believe this knowledge is not only invaluable, but applicable to many other parts of life. It is my goal to pass on my strategies for training to young players who share the game of basketball as a passion. 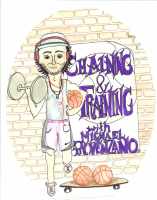 Chaining and Training Basketball Camp focuses on providing kids with the tools and strategies to train in a way that will help them reach their maximum potential. At Eco-Torch, we offer an environmentally friendly driveway weed removal service. Using high powered propane torches, we effectively eradicate weeds from the crevices of interlocking brick and cement driveways. We pride ourselves on the environmentally-conscious approach we take to our work. Burning weeds using propane provides the highest quality results with the no environmental impact unlike using harsh chemicals. The four visits we make ensure that you're getting the most bang for your buck. Our initial treatment removes all weeds from your driveway, with the three check-ups keeping the weeds removed for the whole summer. Operating out of London, Eco-Torch wants to work with you to create the home you've always wanted. Music is the universal language and piano is the best way to learn it. 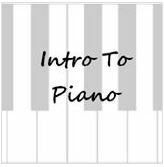 Intro to Piano offers convenient and commitment-free piano lessons to children aged 2-12.This is a fantastic opportunity to expose your child to the world of music without the hassle. With flexible hours and lessons offered in my home or yours, there is no better time to start piano than now! I have over 8 years of various piano experience; from taking lessons myself to performing weekly at a senior residence. I can't wait to share what I know with others. Try piano once, and you'll be Bach! We offer interior/exterior window cleaning and eaves trough cleaning in the London Area. We guarantee your satisfaction by not leaving until you are 100% happy with the work we have done. Help us fund our education while getting your windows squeaky clean! 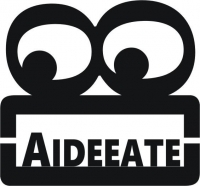 Aideeate Scooters offers scooter parts and accessories to fellow riders. I have always loved scootering and have been involved in it for about 8 years. I love researching parts and follow all the elite riders and keeping up to what is current in the industry. I travel to the local skate parks offering repairs on site and delivering parts. I am an active rider, not just a retail store! Media Boardwalk optimizes and manages small businesses social media. Social media use has grown drastically in the past few years and is now an efficient tool for businesses to reach out and connect with consumers from any demographic. Statistics say 74% of consumers rely on social media to influence their purchasing decisions. Even so, many small businesses miss the chance of connecting with consumers by misusing social media. Media Boardwalk works for small businesses in order to help them utilize this growing platform. Media Boardwalk customizes the social media approach for specific businesses and tailors social media posts to reach any target market. Jenna's Tats & Tots is a student run entrepreneur business. We offer glitter tattoos for your birthday parties and events! All materials are non-toxic, perfect for boys and girls of all ages. Get your groove on and hire Jenna's Tats & Tots for the perfect event! London Drone Photography offers unique aerial photography and videography services that allow our clients to show off their properties and events from a unique perspective. Using state of the art drone technology, we are able to film 4k video footage and take high resolution images from hundreds of feet in the sky. Our work focuses on property sales, land surveying and event filming. The use of a drone allows us to capture angles and perspective not possible from a manned aircraft while costing a small fraction of the price. Drone aerial photography provides our clients with the wow factor needed to promote their properties and events in today’s day and age. Art is the essence of possibility. It replenishes our senses, inspires us, makes us think, and can even make us laugh. Indellable Design offers unique, original works of art that are unforgettable. We host a variety of products that are affordable and fun such as: t-shirts, adult colouring books, photos and acrylic prints. If it captures my eye, I get creative! My hope is that by finding inspiration, I can help others relieve stress and find the wonder in the ordinary. I encourage you to think about what inspires you as you browse my website at www.indellabledesign.com. If you are interested in something unique, I also do custom large scale commissions and wall murals. 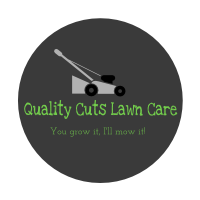 Quality Cuts Lawn Care services include lawn cutting and trimming, light duty gardening, watering, cleanup and debris removal. We are also available to provide services for your lawn while you are away on vacation. Our hourly rate is $30/hour and we offer a senior’s discount of $5 off per hour. With regards to the care of your lawn our work is very detail oriented and we take great pride in a job well done. Are you overwhelmed by the never ending development in technology and unsure which way to turn? Is your computer acting up and giving you troubles and don’t know what to do? 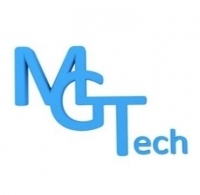 MGTech can help! We provide computer consulting and technology advice including: repairs, computer training, and computer networking and upgrade services. You will like our competitive pricing too. Upcycle Sound produces unique, hand-made musical instruments such as flutes, didgeridoos, and gongs. We also create crafts such as wind chimes and other sound- making objects with an emphasis on the use of recycled materials and renewable resources. At Upcycle Sound we promote environmental awareness through the collecting and repurposing of scrap materials as unique musical instruments. Conscious consumerism and community building is our code. Reduce, Reuse, Rock Out! 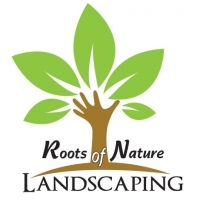 Roots of Nature Landscaping serves London, Ontario and surrounding areas offering experienced landscaping services that includes property maintenance, lawn design, yard construction and more! Not only do they cut grass, but they can also build the patio, flower beds and backyard of your dreams. 65 Interactive is a company located in London, Ontario that offers website development and design, hosting, maintenance, analysis, and marketing. They also specialize in photography, audio and video production, and creative content production. Tyler Bryden, owner of 65 Interactive has full experience and understanding of both commercial Web development and online marketing. The company offers a unique and superior service to small business owners and individuals. 65 Interactive offers companies a fresh perspective on corporate identity and interactive media through a system that dramatically reduces steep project costs. This allows us 65 Interactive to offer the same high-end Web development services as at a much lower cost to their clients. 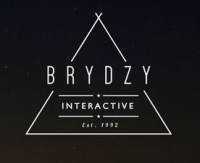 More than just a business, Bryden wants 65 Interactive to be a symbol for hope for anyone who doesn't believe they can be successful and fulfilled while struggling with mental illness. Tessa Peerless, a provincially ranked swimmer for the London Aquatic Club has always found herself extremely fortunate to know how to swim. 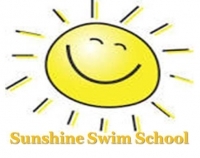 That is why she began "Sunshine Swim School" teaching private swimming lessons in the backyard pools of families in her community. These convenient swimming lessons allow for all families to have swimming lessons, regardless of their busy summer schedules. Tessa strives to make her lessons convenient, reliable, affordable and FUN! 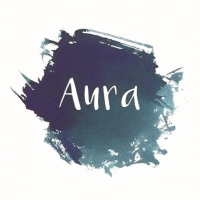 Aura is a full service sewing and design company that specializes in socially conscious women's ready-to-wear and custom-work clothing. All of their products are sweatshop free, made in Canada, and certified organic, ensuring a positive impact on each and every person who goes into making their clothes.Aura is passionate about the social impact of their clothing choices, because they believe everyone can make a positive difference in someone's life with the clothes they buy. EarthFire Clothing is an online clothing store selling primarily slogan based t-shirts rooted in social movements. Our mission is to make a difference in the world starting right here in London, Ontario by donating a portion of all proceeds to various reputable charities, and supporting local young artists and writers by creating an online community for socially aware young people to discuss, think, and create. When you put someone in front of a camera, almost anyone will be quick to say "I'm not photogenic." However, Lisa Mercer, owner and photographer of Lisa Mercer Photography, believes this is a common misconception, as being photogenic is less about how you look and more about how you feel. Lisa Mercer Photography offers professional photography sessions for individuals and families with a focus on making the client comfortable in front of the camera. Lisa makes it her personal goal to help her clients feel comfortable, and succeeds at this through making a personal connection with the client. Lisa Mercer Photography has been successful this summer in growing as a profitable business with loyal clients. 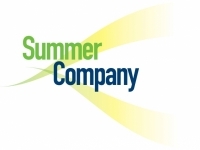 She is grateful to have been a part of The Summer Company Program where she learned a lot about the business world and has helped her turn a hobby into a true business. Lisa is excited to continue her journey as a photographer, business owner, and student throughout the coming year. Call or email Lisa Mercer Photography to set up your photo session! 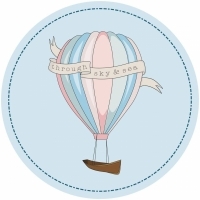 "Through Sky & Sea" is an artisan business based out of London, ON, founded by crafts-woman Jessica Negus. Jessica creates apparel, accessories, and stationery for seafarers, animal lovers, and travelers alike. Through Sky & Sea brings a whimsical take on design offering authentic inspired sea attire for the sailors at heart. The company also provides pins, buttons, and patches to define your style while hiking up the Rockies, sitting around a campfire with friends or home alone! Daivi Designs 3D Printing Co.
SURYA MARAJ: Daivi Designs 3D Printing Co.
Western University student, Surya Maraj, produced beverage inspired gel candles when he was the VP of production at his high school and achieved the Junior Achievement Company Award. Surya was also selling cell phone cases with the help of a micro-credit loan, that's when he decided to combine his production and sales experience to create "Daivi Design 3D Printing Co." once he started university. Daivi Designs can bring your dreams to reality by creating custom made cellphone cases and electronic accessories with the help of 3D print technology. 3D printing has been around since the 1980s however, the industry has experienced rapid growth in the last few years. Daivi" or "Devi" means Goddess in the ancient Indian language Sanskrit. In the ancient Indian wisdom tradition, the Goddess is responsible for all creation; therefore Surya saw the name "Daivi Designs" as a fitting name for a 3D printing company. I.M. Wear is created by Summer Coulter, dedicated to encouraging and promoting self-awareness, self-ownership and self-empowerment. "Did you know that over 50% of high school girls have self-worth issues, but no one notices?" Summer Coulter, owner of I.M Wear asks. I.M. 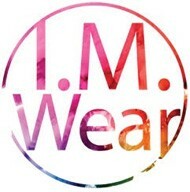 Wear is a clothing and accessories line that is designed to empower women of all ages, particularly young women between the ages of 10 and 25, since these are the most impressionable years for self-development. To pick up your very own I.M. Wear merchandise, you can visit Summer upstairs of the Western Fair Artisan and Farmer's Market every Saturday from 8 am to 3pm. Your Terms Housing is an online platform that connects landlords with rental properties with students seeking rental housing. Their focus is connecting landlords with students looking for 4-month, 8-month, and discounted 12-month leases during the leasing off-season. Your Terms Housing simplifies the process of finding a tenant by doing all the work for you. An agent will be sent to your rental to take high quality photos before revealing the unit's profile to our tenant database. Your Terms Housing is all about solving your rentals problems from the comfort of your home. Skeni's Henna Tattoo provides temporary tattoos that will last up to 4-6 weeks. Pick from a catalogue of tattoo designs, a collection of typical henna designs and also, modernized henna tattoo designs. The initial color of the henna tattoo will be black, once the gel has dried and falls off, the design will turn into any color from light maroon, to dark brown depending on the individual's skin tone and their body heat. Student Web Developer offers professional website services and specializes in e-commerce at affordable student prices. If you're thinking about developing a website, let Student Web Developer help you with your design needs so they can create something not only beautiful but something that also works for you! At Web Alchemists, they strive to offer their customers the best experience possible. Their goals are to provide small to medium sized businesses an affordable and easy setup to help maintain their web sites without any hassle. Web Alchemists provides hosting, domain name registration, and all the administration necessary. The company offers lower prices than their competition because of their low overhead costs. As one of the main engineers doing work for Fame City Group, Julio is the right person to record, mix, master you next voice over, beat, single, mixtape, or album. With six years of music engineering experience, Julio Alfonso and his business Scratch Down Records will make your song, voice over, or instrumental sound reach its fullest potential. Currently offering professional recording services out of his London-based studio, Julio’s attention to detail aids in creating a unique sound for musicians, and in providing quality voice overs for radio ad commercials, video commentary, corporate training, animation, station Ids and more. Contact Julio at (519) 870-7002 or scratchdownrecords@gmail.com. Shane Baarbé is in the business of handcrafting fine-looking skateboards. Velocity Skateboards includes a lineup of pennyboards, skateboards and longboards, as well as being London’s first and only manufacturer of production Shlongboards, and all with an emphasis on timeless classic design. Contact Shane at (226) 580-5409 or shane@velocityskateboard.com. The Grass Guy offers simple lawn care solutions in the London Ontario region with services that include grass cutting, trimming, gardening, and regular yard maintenance. 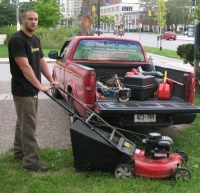 The Grass Guy operates on a weekly or bi-weekly basis, but also offers one time services. Visit www.thegrassguy.ca for more details. Contact Paul Baird for a quote today at (905) 242-2716, or email him at paulbaird@thegrassguy.ca. Maximillian Besworth, a Registered Nurse and graduate student at Western University, has found recent success providing professional CPR and First Aid training services to the London community following the launch of his company, HealthPro Training. With a focus on flexible, affordable, and quality First Aid and CPR Training, HealthPro Training provides individuals with the confidence, knowledge, and hands-on skills to respond to medical emergencies. The sequential teaching style and clinical experience used by HealthPro Training provides an easy step-by-step educational experience that has been shown to improve the learners’ retention of skills and confidence level to respond in an actual emergency. For more information or to book individual or group courses, visit healthprotraining.ca or email info@healthprotraining.ca. Erin Briggs, an Acadia University student, was tired of trying to buy clothing in conventional sizing that just didn't fit. She decided to launch Briggsy Clothing to offer custom made clothing for those with the same problem. Briggsy clothing provides made to order, made to fit clothing for men and women ages 18-15 and ships internationally with some clothing recently going to Italy. For more information and to see what is offered visit www.briggsyclothing.com or contact us at briggsyclothing@hotmail.com. Tyler Correia, a 20-year old student attending Western University began MasterDecker – a deck restoration and staining business – operating around London and surrounding area. MasterDecker is an exterior maintenance company that specializes in cleaning, staining and restoring old and weathered decks and fences so that they look like new. For more information and a free estimate, check out www.masterdecker.com. Contact Tyler directly at (519) 520-2177 or tyler@masterdecker.com. Every athlete trains their body but how many train their mind? Eclipse Performance Inc. provides mental coaching to help athletes achieve greater enjoyment and performance in their sports as well as their lives. The coaches at Eclipse work with athletes in London and surrounding areas on mental skills to help them achieve their goals. Ph.D Candidates in Sport Psychology at Western University, Charles Fitzsimmons and Nicole Westlund started Eclipse because of their love of sport and helping others succeed. Both are decorated athletes, competing in numerous international events as well as leading their University teams to multiple Ontario Championships. Clients of Eclipse include the London Knight’s Hockey Academy, Fanshawe Falcons Athletics, Western University’s Curling and Golf teams as well as a number of other teams and individuals. Contact Eclipse Performance Inc. today to get started on your journey to success! For more information please visit www.eclipseperformance.ca. Contact Charles at info@eclipseperformance.ca or (519) 671-9030. World Champion lightweight rower Jaclyn Halko offers one-on-one nutrition counselling, group/sports presentations, body composition analysis, grocery store tours and more to athletes of all ages and stages to help them set realizable goals and optimize their performance. Since the nutritional demands for high performing athletes are much different than that of your average athlete, exactly what to eat, when, and how much can be the difference between crossing the finish line first. Halko Sport Nutrition provides athletes and their parents with the relevant information they need to make the best nutritional decisions when it comes to achieving optimal health and performance. Find out more at www.halkonutrition.com. Jaclyn can be contacted at (905) 926-0128 or jaclyn.halko@gmail.com. Tutor Hero is founded by Harry Liu along with shareholders Jess Hodgson and Gurpreet Singh. Tutor Hero is a revolutionary online platform that connects tutors to students. The platform is designed to help students find the right tutor at an affordable rate, simultaneously increasing a tutor's visibility and furthering the tutor's career. The ultimate goal is to create a unique means by which students have access to the entire tutor market free of charge. Whether you are looking for a tutor or want to be a tutor, www.TutorHero.ca is the place to be! For more details: call (226)-700-6398 or email contact@tutorhero.ca. Are you an art enthusiast who wants to show and teach others your drawing skills? Are you looking for some inspiration? Or do you just want to see some really cool artwork? My name is Rabiya Siddiqui and I am the founder of Doodle School, a place where anyone can learn, share and be inspired by different works of art. Doodle School is a public, easy to use website that allows users to post and share videos of themselves demonstrating and teaching different art skills and tips. Paid members will also gain access to the advertising board, where they can advertise any art or art related services they are offering. Unlike other large video sharing websites, Doodle School is primarily focused on sharing video art tutorials, making it easier for the user to find exactly what they are looking for. Visit our website at www.doodleschool.ca and like and follow us on Facebook and Twitter! Alex Sworik is the founder of Echelon Creative Studio, a video production and marketing company specializing in giving clients an edge in today's increasingly video-based marketing climate. We are passionate about capturing stories through film, as there is no better medium to tell a story. Whether it is for a corporate video, a commercial, or a personal story, we use our skillsets to make your ideas a reality. We have a tenacious belief that everyone has a story, an idea, a mission that can impact those around us, and having that story told in the right way is paramount. For more information on Echelon Creative Studio visit the website at: www.echeloncreative.tv. Alex can be contacted at (226) 270-2402 or via email: info@echeloncreative.tv. Generate Adventure is an online clothing store and interactive blog platform for “teens by teens”. Fiona Torrens, a Fashion Communications student at Ryerson University, founded GA by making clothes in her home. Selling on trend, simple, handmade garments at affordable prices, Generate Adventure provides a personal touch in a mass produced industry. With a focus on teen spirit and the courage to be different while facing one’s future, Generate Adventure is dressing teens around the world for their next life venture. What makes Generate Adventure different is its approachability and the idea that the consumers are also the creators. It is not just about the clothes, but also about the people who live in them. Knowing the girl behind the label is no different than the ones buying the clothing on the other side of the world. With a strong sense of community Generate Adventure is connecting people around the world through fashion and arts. For more information visit the website at www.generateadventure.com. In the current digital age, there is rarely such thing as a business without a website. The question, however, becomes how effective your website really is at reaching your prospective audience. At KVelluci Designs we are able to offer both web design and development services – helping you enhance your website by creating one that not only looks great, but also incorporates exciting interactive effects as well. 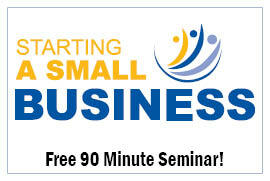 As a small business owner myself, I know that starting your own business is extremely time consuming. KVellucci Designs offers convenience and a personalized experience with cost effective solutions to get the job done the way you want. For more information, please visit www.kvellucci.com. Contact Kristiana Vellucci at (647) 215-0796 or kvdesigns@kvellucci.com. Contact Guessy Wang at guessywang@gmail.com if you are an international student looking for work opportunities, or an employer looking to provide work and volunteer opportunities to international students. Call Me Sweet Potato, owned by Anna Wilson, is the newest dehydrated foods business to take to the local market. 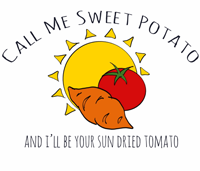 At Call Me Sweet Potato only local food is used to create a variety of dried goods. Each week at the downtown Covent Garden Farmers’ Market, Anna is located outside at the square, with her dehydrated food including vegetable chips, granola, and herb salts. Call Me Sweet Potato raises awareness about the broad range of fresh and local food available on a weekly basis while providing customers with alternative healthy snacks. To shop from Call Me Sweet Potato, visit Anna at the Farmers’ Market on Thursdays 8am-2pm and Saturdays 8am-1pm. To view available products and weekly updates visit http://callmesweetpotato.wix.com/call-me-sweet-potato. Anna can also be contacted at callmesweetpotato@outlook.com or through her Twitter @CMSPotato. Arianna is a student at Western University's Don Wright Faculty of Music who began her music career at the young age of four and has grown to become an accomplished violinist. She strives to spread her love of music throughout London, Ontario. Her business, The Leading Notes Music Company, coordinates and secures talented local musicians in a customizable way ensuring the clients’ musical vision is fulfilled. The company is able to provide music for all events such as weddings, funerals, corporate events and more. Visit the website theleadingnotesmusiccompany.com and learn more about enriching your events with beautiful music. Contact Arianna at arianna@theleadingnotesmusiccompany.com or (519) 615-0162. Leenat Jilani is a law student at the University of Windsor. She started Jilani Cultural Consulting after her experiences representing Canada on the global stage for trade missions, the G20 and recently at the APEC CEO Summit with the Prime Minister. The need to understand how to interact with those of different cultures is key to building lasting relationships or expanding to new markets. Whether it be a business of any size or an organization that deals with diverse clients, Leenat offers personalized consulting, seminars or workshops to help companies excel in Canada’s growing mosaic and today’s globalized world. 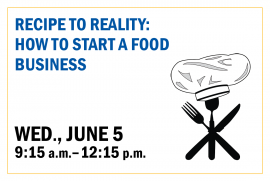 Contact Leenat at (519) 859-9826 or jilanil@uwindsor.ca. Henri Designs is a graphic and web design company that works with businesses and individuals in the London area. Henri Designs provides quality work at competitive prices and works with its clients to meet their specific needs. From WordPress Websites to Logo Design to Business Cards to Advertisements - Henri Designs can help! Let’s get a coffee and talk about what I can do for you! Ask about special discounts for new business start-ups in the London area. Visit www.HenriDesigns.ca or call Victoria at 416-999-3762 for more information. A Central Secondary School student, Kailon launched WebsitesMadeEasy this summer to help small businesses develop powerful and affordable websites. WebsitesMadeEasy delivers professional and functional websites to help small businesses gain the upper hand in their respective industries. With a focus on quality and affordability, WebsitesMadeEasy gets your website up and running in under a week so small business owners can quickly take advantage of online viewers while maintaining a strong hand on the day to day of their business. Contact Kailon at kpwebsites@yahoo.ca or 519-858-008. Visit sitesmadeez.com. A Western University student, Rohollah launched Dolatabadi Design Studio this summer providing web site design & development services. Rohollah delivers professional, reliable and affordable web design for small businesses and individuals in London area. Green as Grass Lawn Care service is an eco-friendly lawncare company. Electric mowers are used to minimize pollution and for those truly environmentally conscious customers Douglas will cut your lawn with an old fashioned push mower. 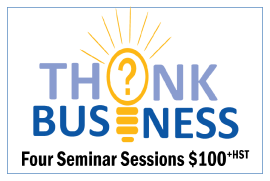 With fines that can be well over $100 000, Jennifer Whalley opened Regulations Training to offer a low-cost solution to health care businesses in need of training their employees for WHMIS, AODA and Bill 168. "Employees are entitled to workplace training," said Whalley. "But it can be difficult for health care providers to shut down their office and inconvenience their patients while they train employees. Online training allows health care providers to train when their schedule is free and allows them to learn at a pace that works for them." To learn more about training your employees online at excellent rates, please visit www.regulationstraining.ca or call Jenn at 519-671-5999. Patrick Bodnar is a student of the Fine Arts program at Windsor University and the owner and designer at Oxus Clothing Company. Oxus Clothing is a new brand of men's fashion wear that focuses on limited print apparel. The screen printing process used means that no two items are the same. This brand is for creators, artists and adventurers who understand the value of being unique. On Course Automotive Detailing is operated by Tynan Bogaert, a Finance student at Western University who is entering into his final year. Setting up locations at golf courses around London, On Course Automotive Detailing will clean the interior and exterior of a client's car while they take in a round of golf. For more information, contact Tynan at 519-870-0036. With the help of the Summer Company program, Jordan Bowden launched his business, 3D Co. – London's first inexpensive 3D printing service. 3D Co creates unique promotional items, prototypes, architectural models, 3D-maps and sculptures, all at affordable rates. If you need a replacement household part that you can't find anywhere or have an idea that's been waiting to be brought into reality, 3D Co. can help! Austin Charles offers campers and counsellors the chance to take home memorabilia from their days spent at summer camp through his business, Camp+. Providing a variety of options including sunglasses, hats and key chains, Camp+ customizes these products to include details of that particular summer camp adventure. For more information or orders, contact Austin at 226-448-7754. Loud Luxury is a premium DJ service that pumps out music for weddings, rave shows, bar nights and afternoon patios. From Western University's DJ Club, Andrew Fedyk uses his versatile experience to portray himself as a professional artist who leaves a lasting impression to the clients. "I think the feeling that you get when you can go to any venue and not only hear great music but also see the people who actually made the music your dancing to is a phenomenal experience," said Fedyk. Tireless hours spent mixing and preparing in the studio creates a fresh, current experience for every one of Loud Luxury's DJ performances. For bookings, call Andrew at 519-494-5935. 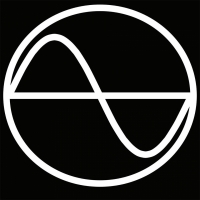 Go North Media is a full-service audio and visual media service dedicated to helping small bands in London grow their number of fans. Audio recording, mixing and re-mastering may be what Jordan Grace is studying at Fanshawe College, but he has expanded his repertoire to include photo shoots, concert posters and online promotional material. For bands or artists on their way to stardom, check out gonorthmedia.ca or call Jordan at 519-524-0726. Kyle Hutcheson's mission is to turn urban unused spaces into gardens and green spaces that promote natural and healthy biodiverse living. Through his company Planting Seeds, Kyle services individuals and businesses who are interested in urban agricultural and horticultural sustainability. 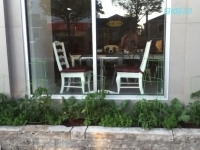 The company recently transformed a downtown restaurant parking lot perimeter into a vegetable and herb garden which is harvested for use in the daily menu. The restaurant has a regular supply of fresh ingredients and is a living example of "farm to table" cooking. Visit the website plantingseedslandscaping.ca and contact Kyle to learn how to turn your outdoor space into a beautiful, sustainable garden. 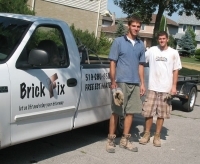 kyle@plantingseedslandscaping.ca or 519-520-2236. Kyle offers unbelievable care for your lawn at affordable prices. Grass '4' Class Student Lawn Care Service provides a variety of services ranging from basic cut and trims to complete summer lawn care packages. After restoring two of his great-great grandfather's five-generation old straight razors, Morgan Nordstrom founded Modern Edge Razors to bring straight razors back to the masses. Providing a better alternative to expensive cartridge razors, Modern Edge Razors aims to make men look better, feel more masculine, and start enjoying their daily shave. Using exotic woods for the handles, shaping them to a perfect fit with each blade, Morgan makes each of his razors unique and memorable. To order a razor, visit modernedgerazors.com or call Morgan at 226-235-3535. 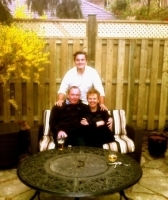 Warner Dynamic Landscapes is owned by Benjamin Warner, a landscape design student at Fanshawe College. 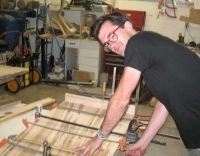 With the educational and practical experience in his arsenal, Benjamin now operates his own business and sees his projects through from start to finish. With a focus on adding curb appeal, Benjamin incorporates both design and physical labour into his services. To see his portfolio visit warnerdynamiclandscapes.com or call Benjamin at 226-808-1871. Martin Webster, a Western University student with years of experience in fence and deck building has launched his own company, Webster Fence & Deck, the fresh face of fences, decks, and backyard projects in the London area. With a focus on customer service and quality, Martin and his crew offer a superior customer experience at a competitive price. What sets Webster Fence & Deck apart from other fence and deck companies in the area is their attention to detail and positive view of customer relations. 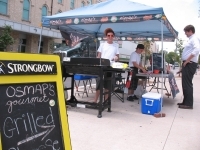 Osmap's Grilled Cheeserie has given street side food vending a new twist. Using fresh, preservative-free breads, locally grown veggies and quality cheeses Nico Moretti grills up unique versions of a childhood classic in downtown London. Diners can choose their own ingredients or pick from an ever changing menu featuring the likes of Jalapeno surprises or Brie with raspberry jelly. Alex Bodkin is an architecture student at the University of Waterloo and founder of Brothers Studio, a full service design and fabrication firm based in London that creates modern furniture made to the client's specifications. At Brothers Studio, the designers are also the fabricators, which means a client can work directly with one team from design, through fabrication, to completion. View samples of their work at www.brothers-studio.com. For more information contact Alex at brothers@brothers-studio.com. Falcon Age Fitness is a mobile exercise service that specializes in adult fitness. Using a step-by-step protocol that is safe and supported by scientific research, the exercises are designed specifically for each customer in the comfort of their own home and are meant to help overcome many of the barriers that often prevent people from exercising. Ben Roberts, a Western University Kinesiology graduate and Certified Seniors Fitness Instructor, founded the company to help adults of all ages stay active, independent, and healthy for many years to come. Exercise has the power to transform your life. Visit www.falconagefitness.com to learn how you can become more active and independent with Falcon Age Fitness. 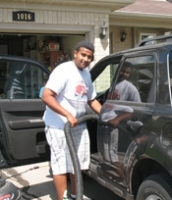 Rayan owns and operates Skids Car Cleaning, a service that provides car maintenance (exterior & interior) that comes to your driveway, in London Ontario. They will offer a wash and vacuum cleaning as well as waxing and car maintenance services to both corporate and individual consumers. He will provide specialized service by an experienced professional at a lower price than competitors with the option of allowing the service to be provided at their location of choice. To book a car wash, contact (226) 268-0191 or email: ryanalhebshi@hotmail.com. 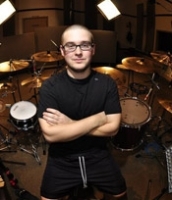 Dynamic Drum Studios offers one on one and small group drum lessons in London, Ontario. 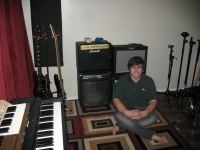 It's owned and operated by Justin Shorey, a Multimedia Design & Production, and Music Industry Arts graduate. With over eleven years playing experience recreationally and professionally, Justin brings practical knowledge, a positive attitude and a sense of fun to his lessons. Each lesson plan is designed based on the individual student's goals and skill level. Jason also has video capabilities to improve a student's performance through visual feedback. For inquiries, you can call Justin at (519) 280-8279 or email at: dynamicdrumstudios@gmail.com.